Here’s the Disney World Enthusiast Weekly Round Up for August 16, 2015! Jennifer Hardy, a Disney Vacation Planner with Destinations in Florida, is the official travel partner of Disney World Enthusiast. She can help you book your next Disney vacation whether it is to Disney World, Disneyland, or aboard the Disney Cruise Line. Currently Jennifer has some incredible deals for discounted travel to Disney World that must be booked by August 31. For more information about Jennifer’s amazing and absolutely free services or to get a free no-obligation quote, please click here! If you happen to have an important game you would like to watch while you are in Disney World, head over to the Boardwalk Inn and checkout the ESPN Club. 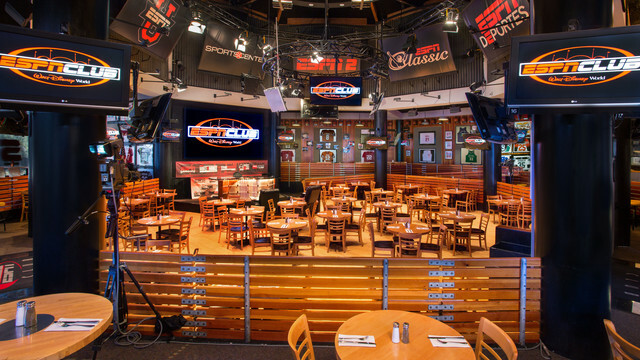 This family-friendly restaurant offers over 100 video monitors with global satellite feeds showing every sporting event imaginable, plus a 108 square foot video wall. This place is a sports lover’s dream. You can check out my full review by clicking here! 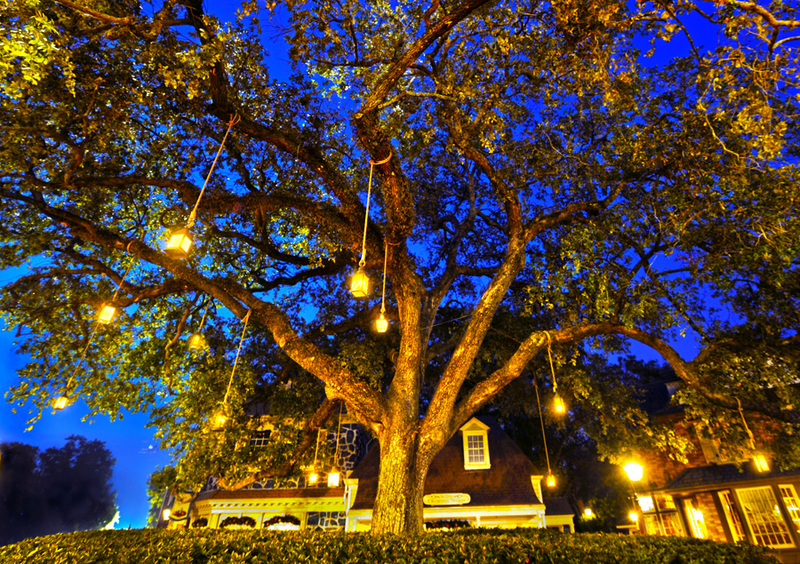 The “Liberty Oak,” which is the focal point of the Liberty Square area in Magic Kingdom, is the proud parent of more than 500 young trees. They all started out as acorns harvested from the majestic oak. 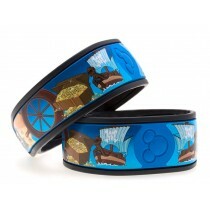 From now through Friday, August 21, 2015 at midnight, please enter daily to win a set of four “Pirate” MagicBand Skins from my friends at Magic YOUR Band. Just click here and follow the instructions to be entered into the giveaway. Be sure to take advantage of the bonus entries, and please feel free to share with your friends and family! Be sure to catch up on this week’s episodes when Zeek, Rachel, Tim and I discuss Disney news, rumors, and so much more. For more information about this week’s podcasts or to listen, please click here. Jennifer Hardy, from Destinations in Florida, and I have teamed up to create a brand new Facebook Group called Next Disney Vacation! It is the perfect place to talk about your next Disney vacation, voice your opinions, ask your questions, get them answered, and share the magic. Whether it’s Disneyland Resort, Walt Disney World, or the Disney Cruise Line, Jennifer and I are ready to help. 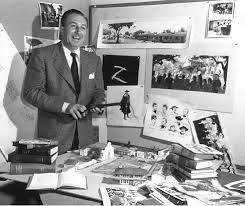 Everyday you’ll find posts, photos, trivia, tips, and more that we find all throughout the Disney Universe. If your counting the days until your next Disney vacation or just dreaming of one, we would love to have you join in the fun and conversation! Please click here to be a part of our group! Next week I’ll have share an article with helpful information for your January Disney World vacation plus all of the latest Disney World news!